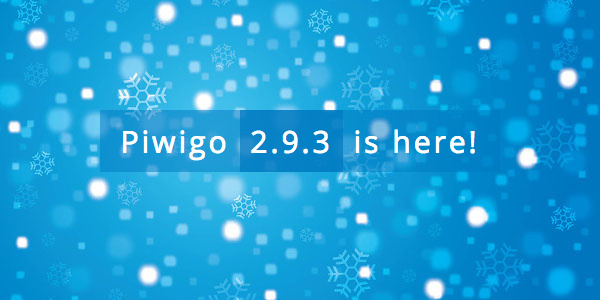 Piwigo 2.9.3 is out. Several "minor" security issues were fixed. Thanks to reports and contributions from jorkro, Sahil Dhar and d4wner. Updated both of my sites without issue ... thanks!